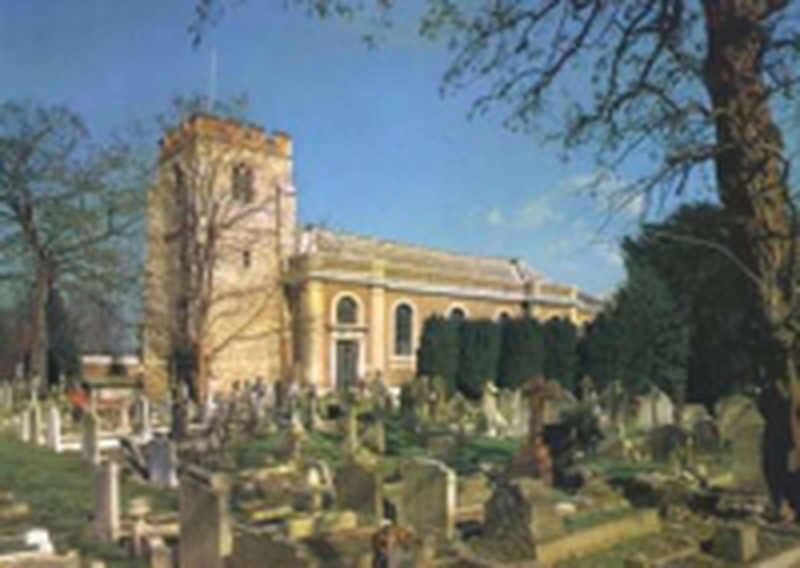 The Church of S. Lawrence, Little Stanmore alias Whitchurch was almost entirely rebuilt in 1715 by James Brydges, first Duke of Chandos, following his purchase of the Cannons estate in Little Stanmore. Only the tower of the medieval church remains. The Duke employed fashionable artists of his day to decorate his great mansion of Cannons, then under construction (since demolished). Those same artists - Antonio Bellucci, Louis Laguerre, Francesco Sleter - created the dramatic interior of the church. Walls and ceiling are covered with paintings of biblical scenes, some brilliantly coloured, others in sepia and grisaille. "Trompe - l'oeil" is used to considerable effect. In addition to being open for Services the Church building is usually open for viewing on a Sunday afternoon 14:00 - 16:00. It can also be opened at times other than for services by mutual arrangement given a minimum of 24 hours notice. If coming a distance it is best to contact us first by telephone or email to make sure it is going to be open.